These are considered to be medium-sized cats, but can get quite large. They gain weight easily, so weight management may be necessary for some cats to keep them from becoming overweight. They are broad across the chest, muscular in the legs, strong bodied and have a well-defined jaw. This breed has a short, straight coat and comes in a variety of colors, including black, black, white, cream, red, gold, brown, silver, brown, cameo, blue cream, tortoiseshell, and chinchilla. The most common pattern is tabby, but is also found in solid, tortoiseshell, smoke, shaded, bi color and calico. They will have blue, hazel, green, copper or gold eyes. 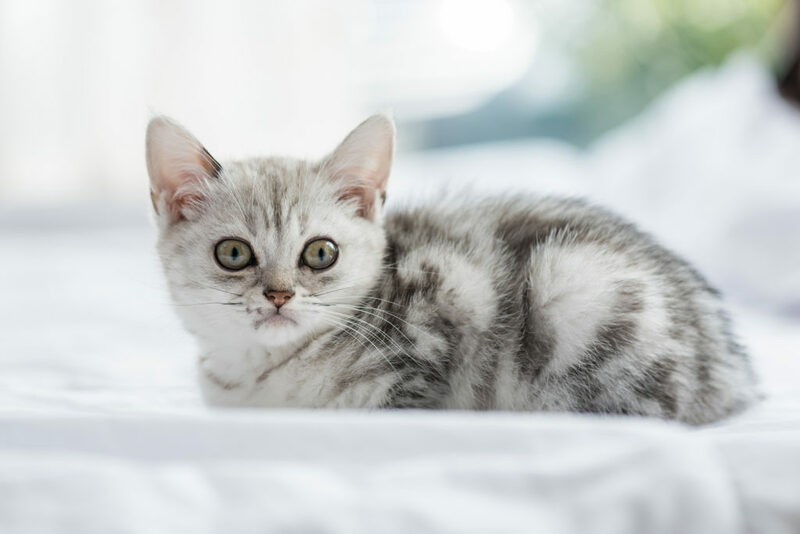 The American Shorthair are a great addition to any family. They are friendly, lovable, comforting and sometimes a little comical; making them the perfect companion for all ages. They are sociable and coexist well with other animals, as long as they are cat friendly. Natural born hunters, this breed makes great mousers. 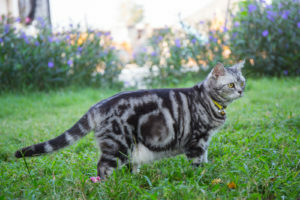 American Shorthairs are a generally healthy breed, in fact, they are known for their longevity. There is one health issue you should be aware of, hypertrophic cardiomyopathy. HCM, as it is commonly called, is the most frequent cause of heart disease in cats. It is not prevalent, but it is something you need to keep an eye out for. This can easily be detected by an echocardiogram. When buying a kitten, you will want to make sure the parents have been tested for this disease. It has been recorded that the American Shorthair’s ancestors came across on the ships with Christopher Columbus and his crew. They were used to protect the precious cargo from rodents and other pests. The standard for the breed and name was set in 1966. Today, they are in the top ten most popular breeds to be registered by the Cat Fanciers Association. These are beautiful, loyal cats that are loved by many.